Does your product or service serve travellers? The Wise Traveller relies on our excellent partner network to deliver unparalleled value and service to our members. Each partner organisation is selected based on the value, relevance, and quality of the product or service they offer today’s traveller. By negotiating special rates and combining these products and services into a single membership, The Wise Traveller offers convenience and value that can’t be matched through any other channel. We invite you to share our success and become part of our fast-growing, globally recognised brand. The Wise Traveller Premium Partners offer the core components of each Wise Traveller membership program. Premium Partners contribute to a safe, secure, comfortable, value-driven travel experience. These products and services include private hotel discounts, travel cash security, global roaming solutions, and travel awareness and protection among many others. The Wise Traveller Lifestyle Partners offer services that upgrade and enhance the travel experience for our members. Our Lifestyle partners offer the amenities and perks that make travel more pleasurable and rewarding, including luxury accommodation, executive airport services, exclusive travel services, leisure activities and much more. Lifestyle Partners enjoy preferential positioning and access to The Wise Traveller's global customer base through targeted marketing and promotional opportunities. 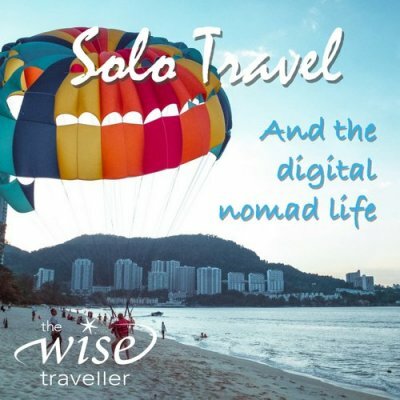 The Wise Traveller Content Partners provide relevant, engaging content that connects our members to new travel destinations, experiences, and opportunities. Through a range of communication channels, including our website, newsletters, and membership communiques, these partners deliver helpful and inspiring information on a range of travel topics—destination guides, travel tips, new travel technologies, and more. Our Content Partners enjoy the benefits of enhancing their exposure and reaching a global audience of corporate, business, and leisure travellers who want to get more out of every trip. Email us to become a Wise Traveller partner. Grow your global market share. Reach an influential customer base. Align your business with a recognised brand.